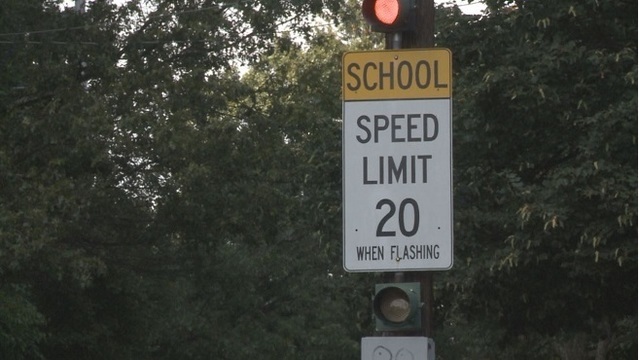 PROVIDENCE, R.I. (WPRI) - The most surprising part of a report earlier this week that thieves had stolen an $80,000 camera installed to catch speeding drivers in school zones throughout Providence: that the city has speed cameras. Although the proposal was approved by the City Council in 2017, the cameras were installed late in the year and received little attention. The stolen camera was located on Peace Street. A new one has been installed in the same location, according to Lindsay Lague, a spokesperson for the police department. Conduent State and Local Solutions Inc., the private vendor that oversees all of the city's traffic enforcement cameras, covered the cost of the replacement. The fines associated with the first and all subsequent violations are $95. While Providence has had a red light camera program for many years, the speed cameras were first approved by the General Assembly in 2016 under the Automated School-Zone-Speed-Enforcement System Act. The law permits municipalities to install the cameras within a quarter-mile of any type of school in the state. The City Council voted last May to allow up to 15 speed cameras to be installed around the city, although only 11 are currently in place. Tickets can be issued for any vehicle caught traveling 11 miles per hour or more over the posted speed limit between 6 a.m. and 8 p.m. Monday through Saturday, according to the city's contract with Conduent Solutions. The company is paid $2,978 per month for each camera and $7.50 per violation processed. The company also receives a $3.50 convenience fee for credit card payments for violations.